Arthur Pewty's maggot sandwich: The Pheasant. I took the photo above on Erith Pier on Friday morning; as you can see the place was completely deserted at the time. It really is one of the most under used and overlooked places in the London Borough of Bexley. On a calm and sunny day I cannot think of a nicer local place to be. My scoop story last week regarding the closure of the Bright Steps Nursery by Bexley Police and Ofsted, and the subsequent unsuccessful appeal by the owner was picked up by the News Shopper. The article published in the paper and on their website attracted a lot of comments from readers - some constructive, some not so. You can read the News Shopper article by clicking here. Many thanks to the anonymous reader who tipped me off to the whole sorry situation; I depend on people telling me things - I am not the all - seeing, all knowing guru that some seem to erroneously think. If you have a local story that you think people would find of interest, then please send it to me - you can be completely anonymous, should you so wish. Email me at hugh.neal@gmail.com. You may recall that not long ago I published an appeal for historical information from Slade Green resident Roy Hillman; well here is an update:- "An update on the WW1 100 Years project at St Augustine Slade Green. We're doing pretty well finding information on the WW1 servicemen whose names are on the memorial, although found some extra 'doubts' too. Still three really difficult ones plus a couple where there's competing information and we haven't managed to discern which information is correct. An example of what we will have on display on the Remembrance weekend is attached. So a final plea for information on the following:- E Anslow - found three possibles on Commonwealth War Graves Commission, nothing in any of the records that we could find ties them to anything locally - so we simply have initial and surname as shown on the War Memorial. No Anslow's on In From The Cold Project (identifies casualties missed by Commonwealth War Graves Commission). J Clayton - 83 (yes, eighty three!) possibilities on Commonwealth War Graves Commission, fourteen Clayton families in the Bexley & Dartford area in the 1911 census, just cannot find anything that ties in. A H Smith - 83 must be a favourite number - there are 83 A H Smith's on Commonwealth War Graves Commission, tons of Smith families locally - again, we just can't tie anything in. L Dudley - we're fairly sure we know who the local man is (originally Leonard Whiffen but took his stepfather's surname), but at different times Bexley's research has put out different information re L Dudley - a Captain in the Royal Fusiliers or a Gunner in the Royal Garrison Artillery. I cannot see anything to tie the local man to one of these records (We tried the reverse and tried to tie the war records to somewhere else, but that failed too). Can anyone prove this one way or another? F J Jenner. Bexley's research says this is Frederick John Jenner from Orpington / Cudham / Green Street Green area, and say the local connection is that his mother lived at Lyndon Road, Belvedere. Our own research shows that his parents married somewhere in Dartford district. Nonetheless we're not sure this is proven (all seems a bit tentative), and there is a 'competing' record - a Frank James Jenner, leading stoker on HMS Fortune, born Camberwell 1890, but we cannot see any local connection. Again, something that gave us more certainty would be good! W A Stevenson. Bexley's research says this is William Alfred Stevenson of 18 Etherow Street, East Dulwich. At the moment we can't tie to any local family. Finally, still wondering why one name in particular is NOT on our Memorial - any clues to why we be good. Thomas William Parmenter, died 28th August 1918. Private in the London Regiment. Born Erith, lived at 58 Arthur Street, employed at Callender's Cable Works in Erith. Married local girl Amy Colegate (and his sister married her brother)". If any reader has any historical information which might assist Roy, then please get in contact with me, and I will pass it on. You can Email me at hugh.neal@gmail.com. I have to say a big thank you to the many readers who contacted me over the last week in respect of my query about the remains of a bird that I found in my back garden recently. Opinion has been divided between two possible identities - a couple of readers thought the remains were that of a Sparrow Hawk, whilst a majority were of the opinion that it was actually a female (hen) Pheasant. I did actually take some photos of the remains that I did not publish last week, which I subsequently forwarded to a few respondents; one of these photos included a shot of a long, reddish - brown tail feather, which seemed to support the Pheasant identity. Subsequent to that, I have discovered that there are Pheasants living in and around Crossness, on the Thames marshes and wild land there. I was not aware of this, though it still does not explain how the remains of one ended up in my back garden. I suppose that it is also possible that Pheasants have taken up residence on the Slade Green / Crayford Marshes, which despite the best efforts of the illegal moped and bike riders, are still mostly unspoiled wild lands and marshes. Richard of the Thamesmead Grump website sent me the photo above - click on it for a larger view. Richard is a retired professional photographer, who takes stunning wildlife photos. 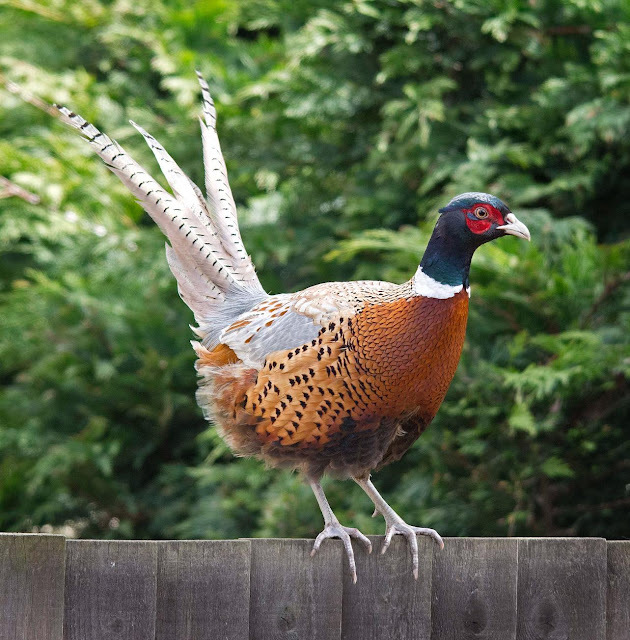 He took the shot above, of a male Pheasant on the fence in his back garden; it is entirely possible that the remains found in my garden may have been its' mate. The photo does prove that Pheasants do live in the local area, as strange as I found this when I was first informed. The local area has been home to many famous and influential people, several of whom I have featured in the Maggot Sandwich in the past; one figure that I have not mentioned before is a somewhat larger than life character who lived in Bexleyheath for many years. Lenny McLean was was an English boxer, bouncer, criminal and prisoner, author, businessman, bodyguard, enforcer, weightlifter, television presenter and actor, and has been referred to as "the hardest man in Britain" by the tabloid press. McLean's pugilist reputation began in the East End of London in the late 1960s and was sustained through to the mid-1980s. He once stated that he had been involved in up to 4,000 unlicensed fight contests. In his later life, McLean became an actor, playing Barry The Baptist in Guy Ritchie's 1998 British gangster comedy film Lock, Stock and Two Smoking Barrels. 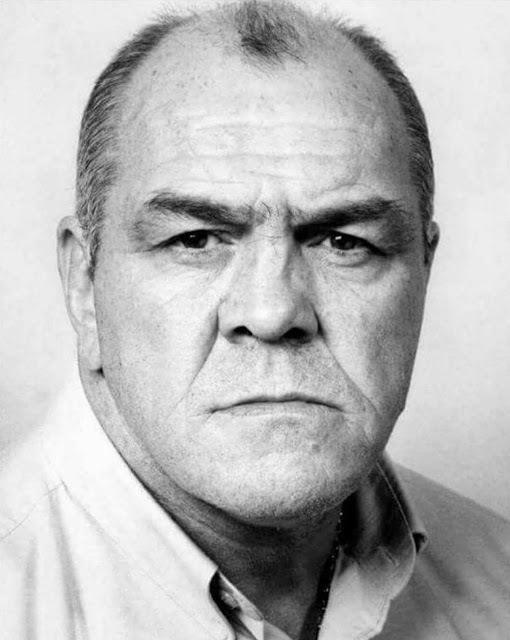 Lenny McLean was born into a large working-class family in Hoxton in the East End of London. His father, Leonard McLean senior, had been a Royal Marine during the Second World War, but after being debilitated by a near-fatal disease which he contracted in India, he became a petty criminal and swindler. He died when Lenny was four years old, and was buried in a pauper's grave, as many working class men of the time were. Lenny's mother, Rose, married again to Jim Irwin, who was, like her first husband, a career petty criminal. Lenny's new stepfather was also a violent alcoholic, who physically abused Lenny and his brothers for many years. By the age of ten, McLean had suffered many broken bones. However, when Lenny's infant brother Raymond was beaten brutally with a belt, McLean's great-uncle Jimmy Spinks, a feared local gangster, attacked Irwin, nearly killing him, and threatened to cut his throat should he ever need to return to protect the children again. Lenny admired his great-uncle thereafter and when he became a street fighter he said that he considered every victory to be won on behalf of his vulnerable younger self. He expressed the rage resulting from his abusive childhood with such abandon that often it would take several men to separate him from his defeated opponent. During his teenage years, McLean mixed with various criminals for whom he ran errands. He was arrested for petty crimes and served 18 months in prison. After he was dismissed from his first legitimate job for beating up his foreman, he worked at odd jobs. By the age of fifteen, McLean realised he could earn a living from fighting and pursued it as his main means of income. McLean's first unlicensed boxing match came about as a result of a chance meeting while in his late teens: when his car broke down in the Blackwall Tunnel he abandoned it and went to buy a replacement from an associate known as Kenny Mac, a gypsy used-car salesman in Kingsland Road, Hackney, only to find the replacement quickly failed too. McLean returned later to demand his money back, but rather than repay it, Kenny Mac offered to give McLean a new car in exchange for McLean fighting in one of Mac's organised unlicensed boxing bouts later that night in Kenny's yard. McLean's opponent was just under 7 feet (210 cm) tall and weighed 20 stone; he lasted less than a minute against McLean, earning McLean £500, a considerable prize at the time. Kenny Mac and McLean became friends and on numerous later bouts Mac acted as McLean's boxing manager, with McLean subsequently becoming the best-known bare-knuckle street fighter in Britain. With his growing fame, McLean also became known as "The King of Bouncers" around many of the clubs and pubs in London. McLean was also a publican, holding joint ownership of a public house in the East End of London named the "Guv'Nors" along with Charlie Kray, elder brother of the Kray twins, reputed to be the "most legitimate" of the three brothers. McLean was also been described as a "fixer" and a "minder" (or bodyguard) for criminals and celebrities including Mike Reid, Freddie Starr, Henry Simpson, Boy George, and the casts of television shows such as EastEnders and The Bill. According to McLean's autobiography, his name was useful for the smooth progress of various criminal dealings, and to warn off members of the Provisional Irish Republican Army and the Mafia. In 1992, McLean released an album of Elvis Presley covers. The album was entitled 'Lenny Sings...'. He claimed "The King meets The Guvnor. It's sure to be a winner." His lead single 'Blue Suede Shoes' failed to break into the top 200 and the album was subsequently scrapped. Being the best-known figure in unlicensed boxing produced for McLean not only fans, but also enemies, including some of his rivals's supporters, and some who had lost money betting on McLean's opponents. McLean also made enemies from years of ejecting people from pubs and clubs. He suffered two bullet wounds from separate attacks, and was attacked from behind and stabbed on two occasions. McLean has said that he later caught up with and punished one of his assailants, a drug addict named Barry Dalton, who had attempted to shoot McLean at his home while his children were in the house. Dalton had also made many other enemies, and a year later was found dead with a bullet in his head, a murder for which McLean asserted his innocence. Separately it has been stated that the murder of Dalton was ordered by a gang of East London gangsters, and that the murder was completely unrelated to McLean. McLean was featured prominently in a television documentary on nightclub security staff, titled Bounce: Behind The Velvet Rope. He gravitated towards acting after being introduced to an agent by three long-term show-business friends, Henry Simpson, Mike Reid and Freddie Starr, for whom with Archie Mills he had "minded", and also after "minding" the cast of television shows such as EastEnders and The Bill. After playing a brief un-billed cameo as a ringside spectator in the film of The Krays (1990), McLean appeared in such roles as Eddie Davies in ITV's Customs drama The Knock, and moved to other roles such as that of a police chief in The Fifth Element (1997), his largest acclaimed role being in Guy Ritchie's Lock, Stock and Two Smoking Barrels (1998), playing the part of 'Barry The Baptist'. During the filming of Lock, Stock and Two Smoking Barrels McLean was struck ill by what he believed to be the flu. He was subsequently diagnosed with pleurisy, although further X-ray examination proved he was suffering from lung cancer which had metastasised to his brain. He died shortly afterwards on 28 July 1998, at his long term home in Bexleyheath, a few weeks prior to the release of the film. Director Guy Ritchie dedicated the film to him and had billboards for the film changed to feature McLean in tribute. Following my recent piece on The Riverside Fish and Steak restaurant and its sister Mambocino, both located in the Erith Riverside Shopping Centre, I went for lunch on Wednesday in Mambocino, and had a wonderful experience. The place, which originally was principally a coffee shop, is nowadays a thriving and very busy town centre cafe, serving a wide variety of hot and cold meals. I ordered a three egg, cheese and mushroom omelette with a side salad; my companion had toast with two poached eggs, mushrooms and a large sausage. 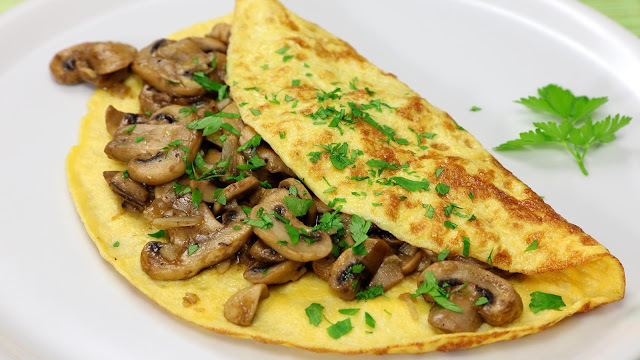 I have to say that my omelette was the best one I have ever eaten - not necessarily something that you would expect from a small cafe, but there you are. We shared a large pot of (excellent) tea. The food was beautifully cooked and presented, and the bill came to just over £11 - very good value indeed. The place is constantly busy, and for good reason. 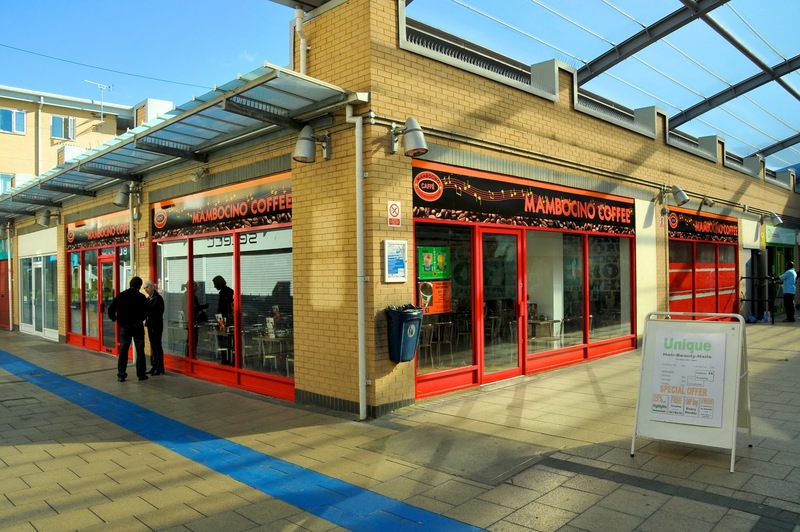 You can read the TripAdvisor reports on Erith Mambocino by clicking here. Now for the weekly local safety and security updates from Bexley Borough Neighbourhood Watch Association. Firstly the report from Barnehurst ward:- "Barnehurst Ward has suffered two burglaries, both burglaries are in close proximity. On Tuesday 23rd October 2018 between 11.30 -20.50 hours in Manor Way suspects have gained access to the rear garden, a rear door had been forced and a window smashed. It is believed suspects had climbed over the flat roof of an extension to get to the rear of the property. Unfortunately a number of items were taken from the venue. The second burglary in Westfield Road could have taken place anytime between Monday 22nd October 2018 to Monday 29th October 2018. Again access is believed to have been gained by climbing over an attached extension roof. The rear door was found damaged and the glass smashed. A utility room was entered but suspects were unable to gain entry to the rest of the property due to a strong secure door within the utility room. The team have continued to work around Cheviot Close/garage area with PC Arif liaising with Orbit regarding the constant fly tipping and cameras being damaged at the location. Orbit Housing have now confirmed bollards will be put in place to deter unwanted visitors. We will update you as and when this happens. We cannot stress enough the need for residents to check the security within your home. Please ensure you have taken steps to make your home safe. There are gadgets available out there, some of which are cheap but effective. Where possible keep wheelie bins out of sight and if you see letters/leaflets hanging out of your neighbours letter boxes please push them through, the smallest of steps may prevent a burglary. Please join us for our next community contact session will be on Friday 09th November 2018 at 11.00am at Barnehurst Golf Club". Belvedere ward:- "PC Green has interviewed the driver of a vehicle who crashed into Belvedere Community Centre. The team have been working to reduce anti-social behaviour over the Halloween period, delivering ‘No Trick or Treat' posters to vulnerable people across the ward and restricting the sales of items such as eggs and flour. The team have been working to cover Belvedere on Halloween as well as the Guy Fawkes period. We have been investigating shoplifting offences that took place in ASDA and B&Q. Between midnight on Sunday 28th October and 6.30am on Monday morning, there was an attempted shed burglary in Victoria Street where it appears several rear gardens were entered by unknown person(s) who made efforts to gain entry to three sheds. No items were taken from any of the properties involved although damage was caused to padlocks. Should anyone have witnessed this or have any information in relation to this incident, we ask that you contact the team on 0208 721 2050. Our next Community Contact session is taking place on Friday 9th November 2018 from 9.30am at the All Saints church hall". Bexleyheath ward:- "We have had a burglary reported along Gravel Hill Close Bexleyheath on the Sunday 23/10/20018. Entry was gained via the side of the property on an upstairs window. The team are in the process of trying to resolve issues that are being raised by residents within the ASDA car park area. We are working in partnership with the council to tackle this issue. Patrols are also still continuing around Martens Grove and Grove Road including the garages to reduce anti-social behaviour. The team conduct regular hi-visibility burglary patrols along Woolwich Road & Lathan Road. Also patrols are conducted in the car park areas and the Broadway to reduce anti-social behaviour. Weapon sweeps are being conducted daily to find weapons that may be hidden away and then used in crime We have two reports of robbery on the Broadway both on the Monday 29/10/2018. One by McDonalds and the other by Goals in the Broadway. There was a report of a theft of purse. Suspect had bumped into victim and then taken purse which had happened in Primark. Please be aware and keep your personal items safe at all times. On Tuesday 6th November between 7pm and 8.30pm, we will be attending the NW Coordinators and Safer Neighbourhood Board meeting for Bexleyheath and Crayford wards to be held at Bexleyheath Police Station, Arnsberg Way. [NW Office: For Coordinators wishing to attend, please contact the office urgently to reserve your place if you have not already done so.] If you do wish to pass on information to Police then please contact Crime Stoppers on 0800 555111. Please do not hesitate to contact us via Twitter, Facebook, email and the ward phone. If you are after crime prevention advice, please look at the Met Police website which has lots of information that you may find useful. Remember in an emergency please dial 999 and 101 for non-urgent reporting". Crayford ward:- "Between 22.00 on Thursday 25th October and 15.00 on Friday 26th October entry was gained to a property in Heathview Avenue by the lower pane in the double glazed rear door being kicked in. In this instance nothing was moved or stolen and it is believed the burglars may have been disturbed. On Friday 26th October between 17.00-17.50 a Black Piaggio number plate PO59 MHL was stolen whilst parked outside Wilmoths Citroen dealers in London Road. On Friday 26th October a purse was reported as stolen in Crayford High Street, no suspect known. On Saturday 27th October at 11.05 a White Transporter Van had the door damaged whilst parked at Kennet Road. On Wednesday 24th October between 16.00-18.20 there was an attempted burglary in Bourne Mead, marks were seen around the front door lock to suggest that it had been tampered with. On Tuesday 30th October late evening, London Fire Brigade reported to police that there had been an arson at Cray Close, this property can be seen from Maiden Lane, did anyone see anything suspicious? There was a theft from Motor vehicle outside KFC on Tuesday 30th October, no details of the car, time or what was stolen has been given at this stage. A 110V Honda generator, a robotic crawler system and a tether feeder mechanism has been removed from a vehicle, believed to be Kennet Road between 10th and 12th October. On Tuesday 30th October between 15.00-20.15 a locked silver Carrera pedal cycle and chains was stolen from the bicycle rack outside Sainsbury's. Come along to Crayford Library on Wednesday 7th November between 2-3pm for crime prevention advice or just to say hello". Erith ward:- "We have been carrying out weapon sweeps all week as part of a operation that covers Bexley, so far we are pleased to say we haven't found any weapons in and around Erith, We have been searching bushes and areas, in Compton place, Erith High street and west street. 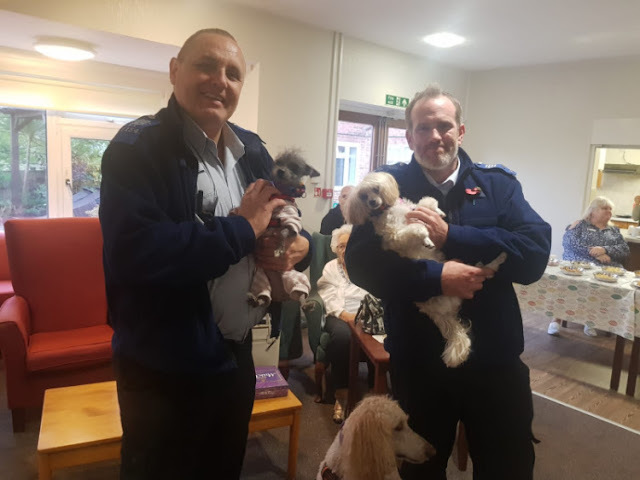 Adam and Mark went along to an Orbit funded Dog therapy event at a sheltered housing scheme which also raised money for the poppy appeal (See image above). Crimes this week - Theft of Motor Vehicle Cricketers Close; Theft from Motor Vehicle, Bexley Road; Making off Wm Morrison Supermarkets Plc, James Watt Way; Theft from Motor Vehicle St John's Road; Burglary Residential Erith Road - By suspect unknown entering the venue through the rear window and stealing property therein; Theft of Motor Vehicle - Park Crescent; Theft of Motor Vehicle Bexley Road. Upcoming dates: Saturday 10th November costa coffee Erith 2pm and Friday 16th November costa coffee Erith 1200 midday". Northumberland Heath ward:- "A fairly quiet week on the ward this week. No burglaries reported. Between Sunday October 21st and Tuesday 23rd, a car was broken in to in Sussex Road an untidy search conducted and a Sat Nav was stolen. A lorry was broken in to in Cray Road Belvedere on Thursday 25th October between 4pm – 4.45pm. Entry was gained via the driver's door and the door handle was snapped off. A envelope containing over £3,000 was stolen. We have received information from a resident in Buxton Road regarding trespassers in their garden in the early hours of Wednesday 31st October. The resident discovered the side gate to the property was left open, and on checking the CCTV, two males with their faces covered were seen looking at a motorbike in the garden, and pulling the cover of the bike off. They were also seen looking in to several cars in Buxton Road. Please be vigilant and report any suspicious activity at once. The team conducted a warrant in Hind Crescent last Friday and a quantity of class A and Class B drugs were seized". Slade Green and Northend ward:- "Three businesses were hit by overnight burglaries over the last weekend. On Friday 26th October staff at John Pye Auctions in Manor Road (close to the DVLA pound) discovered that during the early hours 17 batteries we taken from their site. CCTV enquiries are being made. At some time during the weekend, both Alsford Timber and SDL limited, who are both located in Ness Road halfway along Ray Lamb Way, had their padlocks on the front gates smashed off, nothing apparent stolen from SDL but Alsford Timber reported a quantity of res diesel stolen from the tanks. Again, due to the location of these incidents, CCTV footage is being examined. In happier news, PCSO Mark along with PCSO Adam from the Erith team attended an Orbit Housing Sheltered Scheme charity event on Tuesday at Hailey House Belvedere where residents from all of Orbit's schemes got together for a Halloween Quiz hosted by Mark, some lunch, a raffle and finally dog therapy with Nightingale Dogs who brought 7 dogs along for petting and activities with the residents who didn't want to give the dogs back! 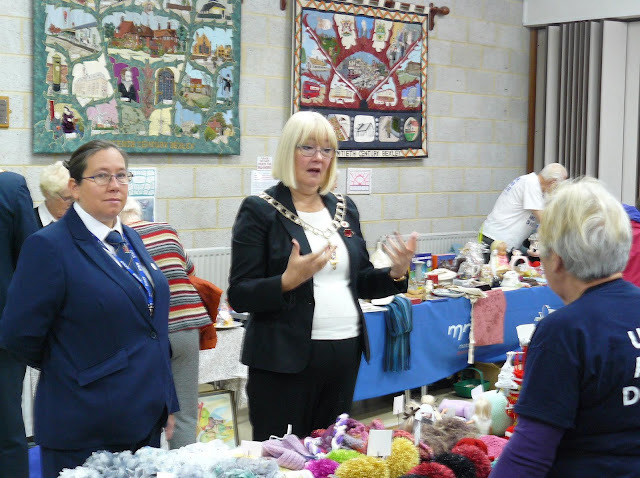 A great time was had by all and £150 raised for the Poppy Appea - picture above. On Monday, Mark also attended the Slade Green Big Local Stakeholders conference with many other partner agencies who were given a presentation from Big Local on recent events and upcoming projects before all joining in a workshop looking to share ideas on taking the project forward in the future. On Tuesday November 6th, we will be in attendance at the excellent Slade Green Seniors Film Club at the Community Centre from 1230. Our next Community Contact Session is Thursday 08/11/2018 from 11am in Forest Road Café. Please come and say hi if you are free". Thamesmead East ward:- "No Burglaries this week. Wednesday 24/10/18 Theft of Motor scooter in Kale Road. 9:20pm Discovered in Fowler Close Sidcup after tracker activation. The bike has been returned to the owner; Saturday 27/10/18 Vehicle Interference in Hartslock Drive between 8:18pm –Sunday 28/10/18 7:40 Driver's side window has been smashed nothing taken; Sunday 28/10/18 Theft from Motor vehicle in Wolvercote Road between 10am-8pm Front passenger window smashed entry gained loose change taken; Sunday 28/10/18 Theft from motor vehicle Hartslock Drive between 2pm – 230pm by unknown person smashing window of the victim's unattended car by means unknown searching through his property inside then making off empty handed. Our next contact session will be on Saturday 3/11/18 at our SNT base in Kale Road between 2-3 pm and Monday 5th November at The Link, Bazelgette Way SE2 between 3-4 pm.. To see what the team are doing check us out on Twitter@MPSThamesmeadE If anyone is interested in being part of the Ward Panel please do make contact with the team. The objective of the Ward Panel meeting is to set the ward priorities for the three months ahead. The meeting gives residents the chance to discuss other quality of life issues, which could also shape your SNT teams approach to the way your area is policed". West Heath ward:- "It has been a relatively low crime week this week which has allowed the team to focus on ASB around Halloween and bonfire night. There have been no reported burglaries, however, an old gas meter was stolen from outside a house in Oakehampton Crescent sometime on Tuesday 29/10/18 . A set of number plates were stolen from a vehicle in New Road over the weekend 26th/27th October and a car in Lodge Hill was criminally damaged believed by youths throwing stones". The ending video is really where we came in; it is a short film shot earlier this year on Erith Pier, showing what the place looks like on a summer's day. 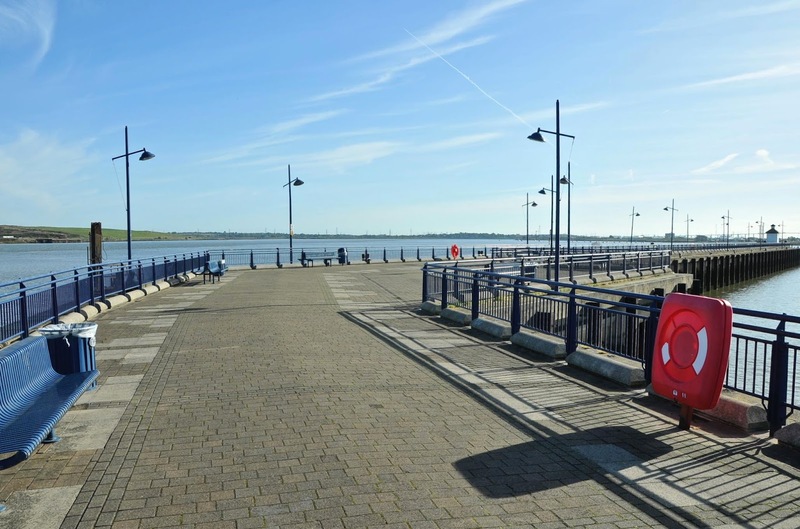 The pier is certainly somewhere that needs to be better publicised - on a nice day it is a great place to visit. What do you think? Leave a comment below, or alternatively Email me at hugh.neal@gmail.com.